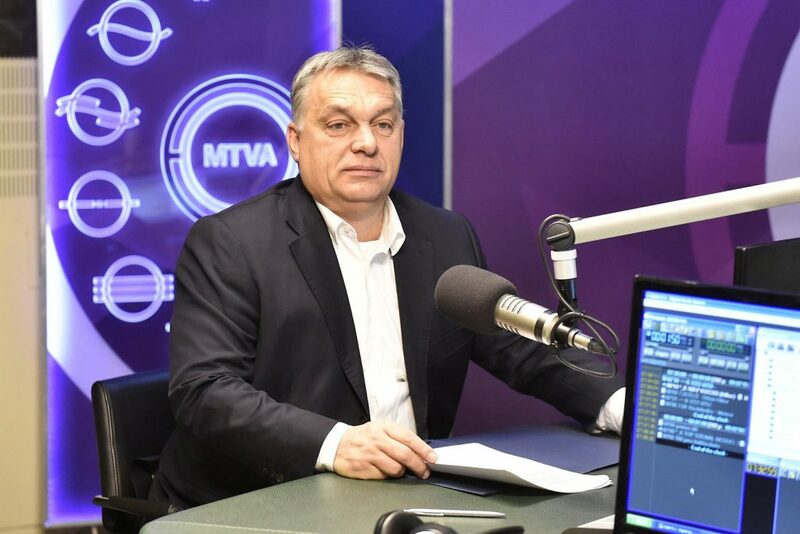 “The Hungarian economy can be operated without EU funds, the economy’s engine is not the EU’s money but the Hungarian workingmen,” Prime Minister Viktor Orbán said in his weekly interview on national Kossuth Rádió’s 180 perc program, index.hu reports. The Prime Minister voiced his hope that Austria’s new conservative-far-right coalition government will attempt to join the Visegrád Four political alliance of the Czech Republic, Hungary, Poland and Slovakia. Regarding the European Commission’s recent decision to open an Article Seven procedure against Poland that in an extreme case might lead to suspending Poland’s voting right in the EU, Orbán said Poland is under unworthy attacks from “Brussels.” Those who attacked Poland were attacking all of Central Europe. For this reason, it was not only Hungary’s duty but also its vital interest to defend Poland. When asked about the possibility of the EU withholding funds because of its concerns about the state of the rule of law in Hungary, Orbán said he is not at all afraid of this scenario since EU laws do not allow such conduct. The Prime Minister asserted that EU funds are neither a panacea nor a present, pointing out that Western European companies make a good profit in Hungary, so Hungarians should not position themselves in a subservient role in EU relations. It is worth noting that according to a report compiled by international auditor KPMG and GKI Economic Research Co. at the government’s request, during the 2007-2013 EU budgetary period the Hungarian economy was kept alive by EU funds. The report maintains that even though some HUF 14 trillion (USD 53.2 billion) of EU funds poured into the country during this period, the competitiveness of the economy decreased and labor emigrated.